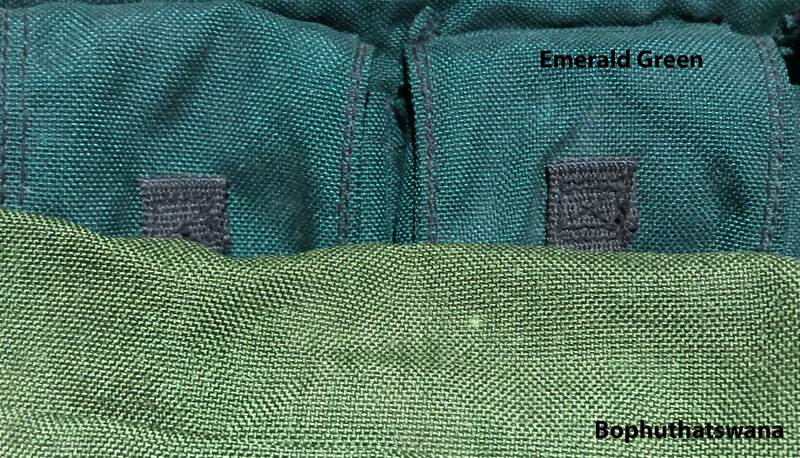 Pattern 83 type webbing in Emerald Green nylon material was intended for units specialized for the South West African (Namibian) theater. 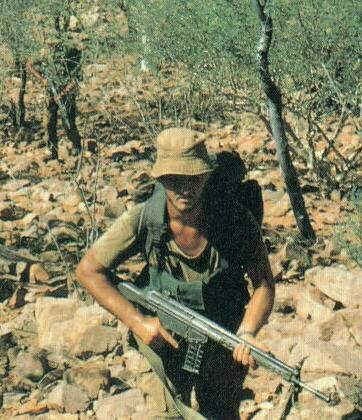 These items were most famously used by 32 Battalion, Koevoet, and other Bushman Battalions from the late 1970’s to the 1980’s. 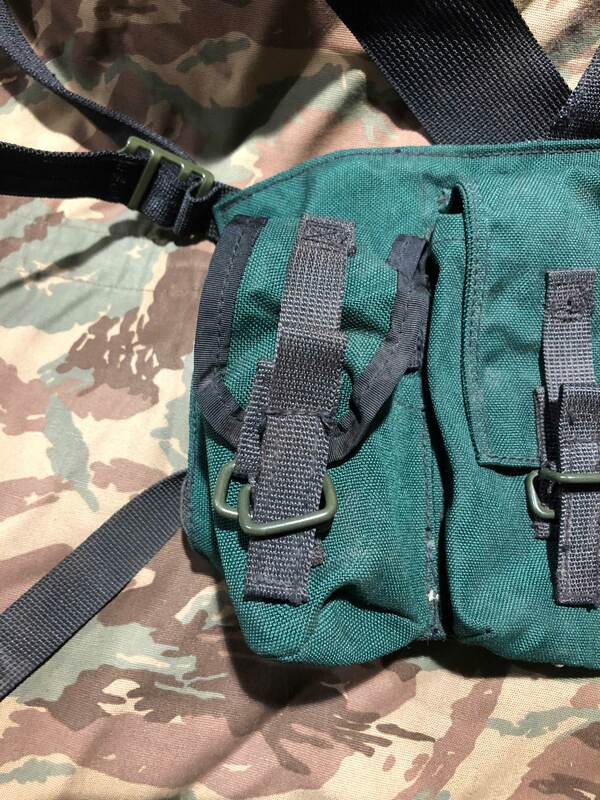 An emerald green rucksack was used towards the end of the Rhodesian Bush War and into the early 80’s (source). 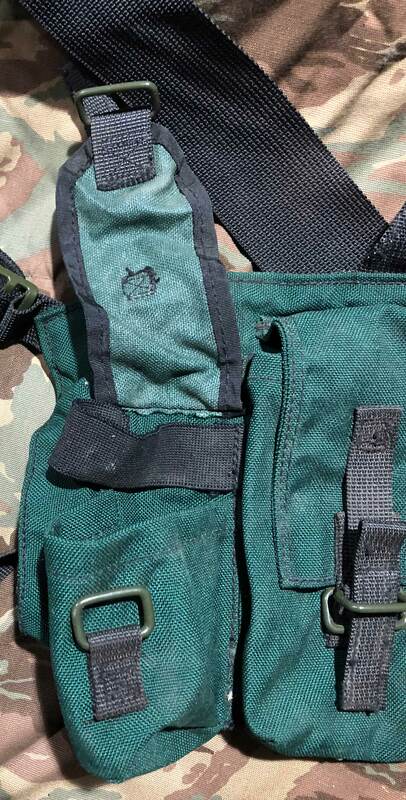 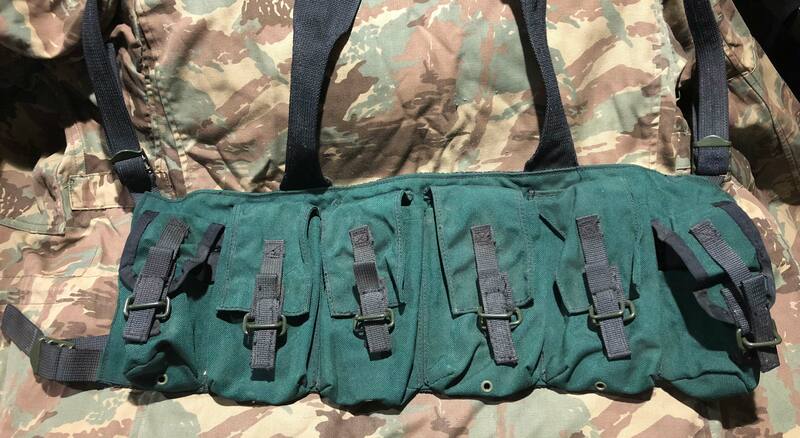 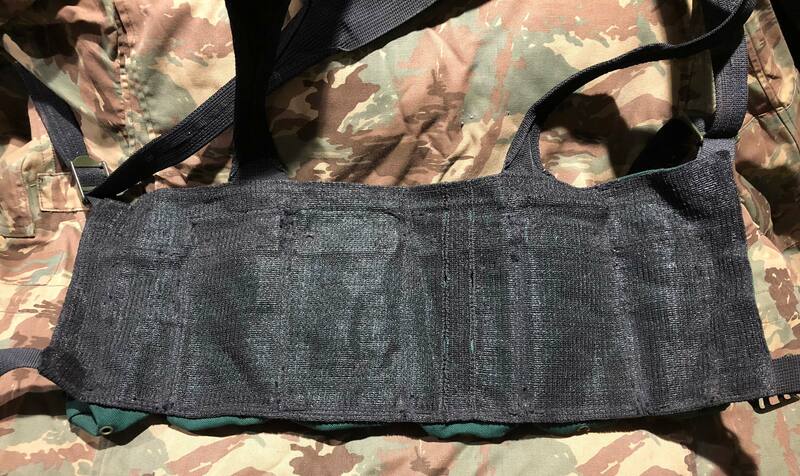 Very similar to the Rhodesian Fireforce chest rig. 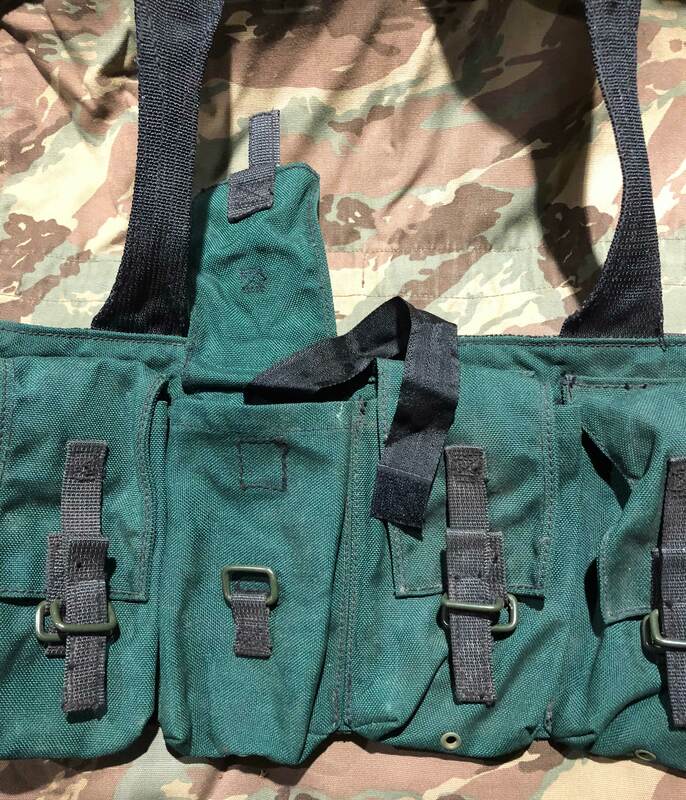 4 “main” magazine pouches and 2 side grenade/first aid pouches. 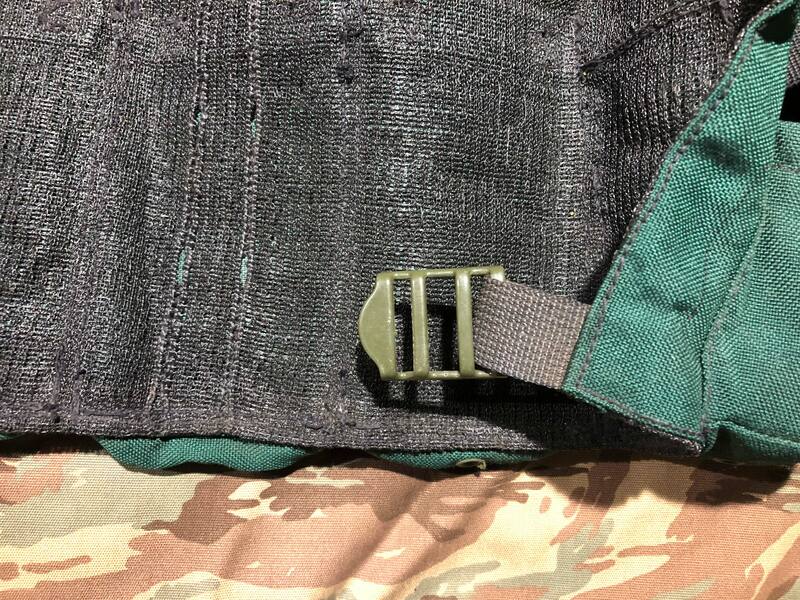 Has Pattern 70 style, OD enameled hardware and black thread. 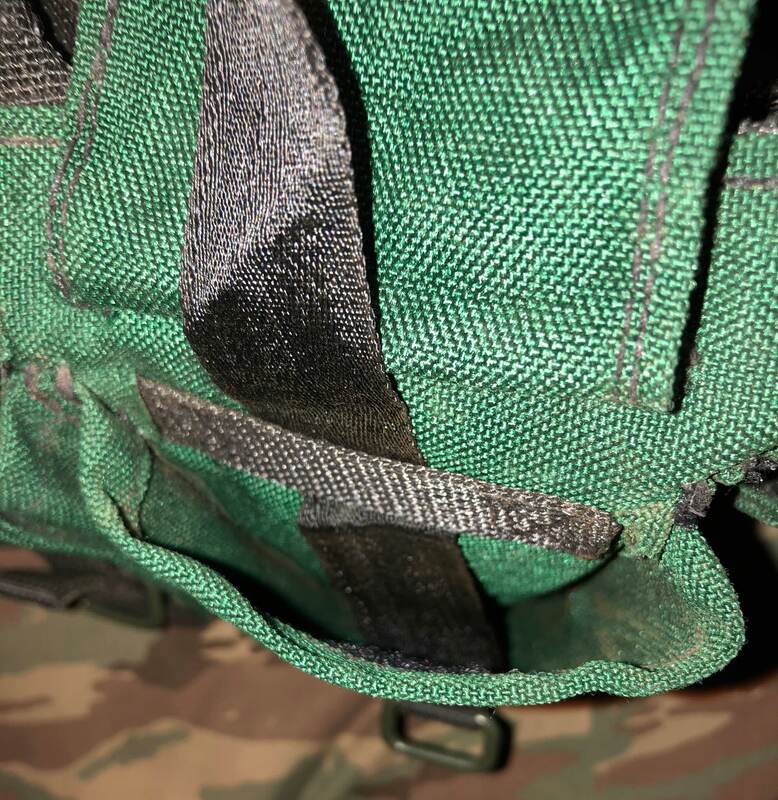 Has drainage holes on the bottom, a feature not found in standard SADF P83 gear.